“We would like to train professionals for our county and our nation whose value systems and readiness to help are a reflection of the teachings of Jesus,” emphasized Rev. Péter Balla, Professor of Theology. 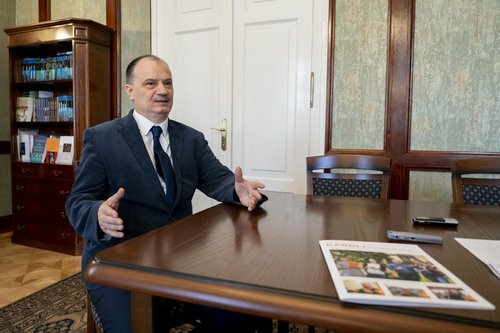 On the occasion of the 25th anniversary of the founding of the University, the Rector of Károli Gáspár University of the RCH was interviewed. In Károli University’s recently published newspaper, you said, “Let this year be the year of thanksgiving.” What are we giving thanks for? This academic year, we are celebrating the University that was founded in 1993 by the Synod of the Reformed Church in Hungary (RCH) and the National Assembly of Hungary. The main reason for our thanksgiving is for the help that our Lord has given us to continuously grow in numbers of our students, professors and administrative staff: at the moment we have about 7500 students. We are giving thanks for our University’s community, and of course, we remember our founders with thanksgiving to God: the brave initiative and decision of Presiding Bishop, Rev. Loránt Hegedűs, and the members of the Synod in 1993, who looked with hope towards our future. Our University had two legal predecessors: the Reformed Theological Academy of Budapest and the Teacher Training College of Nagykőrös. These institutions were integrated into the new university system as faculties, and the Faculty of Humanities was created, and five years later, in 1998, the Faculty of Law was founded. Besides institutional growth, we perhaps grew into a family, like brothers and sisters, as well. In the University newspaper you emphasized the importance of a familial atmosphere, and you’ve just mentioned institutional development. Isn’t the growing size of the University and the familial atmosphere contradictory to each other? There must be some tension. The growing numbers mean that lectures are being attended by more students. We also have some programs where we are able to hold lectures in smaller groups due to the large number of students. We pay attention to the professor-student ratio in order to maintain a certain level of personal connection. The fact that we are continuously hiring new professors helps to maintain the familial atmosphere. We can say that the growing number of staff members teaches and helps the student body. However, it is true that it is getting harder to keep up the familial atmosphere, which is why it requires conscious attention from our side to make time for personal conversations with the students so that we will not compromise community care for the sake of a bigger headcount. Károli Gáspár University of the Reformed Church in Hungary celebrates the 25th anniversary of its founding. Károli Community Days are being organized in the spirit of the jubilee. On the 24th of October, a celebratory service was held in the auditorium of the headquarters of the Danubian Reformed Church District. The event started at noon with a sermon from Rev. Péter Balla, Professor Tamás Magay remembered the founding of the University, then Pál Huszár, Lay President of the General Synod of the RCH, and General Secretary, Rev. András Gér, welcomed the audience. In a previous interview celebrating the 20th anniversary, some of the University’s difficulties were mentioned, one of those being the question of accreditation. What is the situation with that now? At the moment, all of our Faculties and majors are accredited and the whole University is unconditionally accredited. This process is repeated every five years, and I am certain that the next evaluation will also result in full accreditation. What new majors were launched recently? We recently announced the start of the Infant and Early Childhood Education Bachelor (BA) program, the Sociology Masters (MA) program, and a very brave initiative: our THM program offered in English. However, we can only officially launch these new majors if the Educational Authority enables it with permission from the Hungarian Accreditation Committee. Another difficult topic was the question of financing. Does the new agreement between the Church and the Government that was signed a year ago stabilize this issue? Yes. Besides the normative subsidy, this year we are receiving a higher amount for special purposes. Regarding the University’s buildings, we see that it is continuously expanding. What do these investments mean for the University? The territory of our campuses is not that big: some of our campuses are in different areas of Budapest, another is in Nagykőrös. The increasing number of students and staff requires more space. 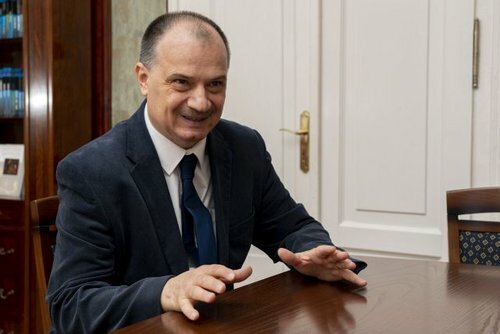 The building known as the Károlyi-Csekonics Palace will be made available for the Faculty of Humanities so that the establishment on Dózsa György road can be used for other purposes. What was the biggest achievement within the last 25 years? The biggest improvement can be seen in our international relations. We have formed cooperation agreements with numerous partner institutions around the world. Entering the international scene may be the most significant achievement of the last 25 years. We can mention here for example that we take part in a Lexicography MA program along with seven international Universities and a German research institute. According to a government statement, extensive changes are about to be introduced to the higher education system. Does it concern Károli University? Not directly. We are affected by government decisions that determine the lowest scores for state-funded places. 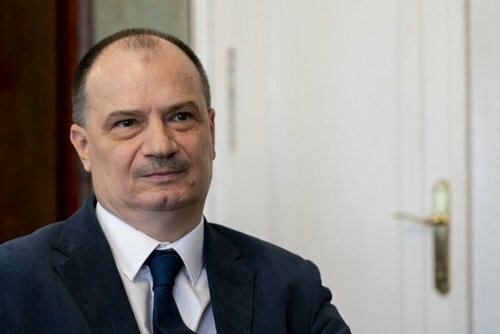 What do we know about the establishment of the Faculty of Social Studies that was announced at the Szárszó Conference? We have started preparations. With this, we would like to expand into healthcare. Next to our already existing diaconia and social worker majors, a nursing major would be added. The University’s Church and Society Research Institute has been doing well lately. What is the role of this institution? Some of the research institute’s current tasks were already done by the Church, specifically by Synod Office of the RCH. Our University has always wanted to do its job in a way that it could provide useful services for the Church as well. It is a gradual process; different research projects and ministries within the RCH will be concentrated under the University. Obviously we would put the emphasis on the research. The Church and Society Research Institute is the main research facility of the University, focusing on the following fields: Romology Workshop, Eco-congregation Research Workshop, Reformation for Culture Workshop, and Reformation and its Heritage Workshop. The research institute also contributes to the organization of the Social Studies and Health Sciences Faculties. What do you expect for the next 25 years? What kind of University will Károli be? 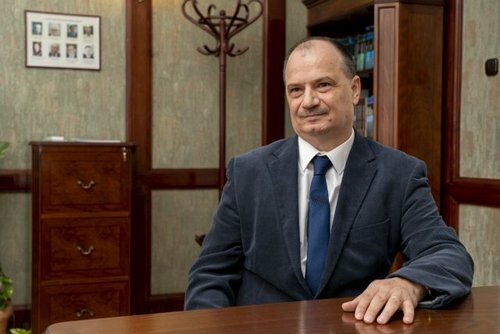 I am a pastor; I hope it is acceptable that my biggest wish is that our University will be a place where students and employees alike are happy to come to every day; A place where the tasks are not just some obligations to get over with, but, rather, part of a meaningful life, working or studying at Károli University. Therefore, I would like Károli University to be a place with a cheerful and good atmosphere where people gladly come. I hope that in 25 years our campuses will be in a part of town easily accessible from Kálvin Square. I believe it is important because I see that location plays a significant role in the students’ decision making, as campuses where they will have to go to every day. Therefore, besides the loving and helpful work of our academic staff, an easily accessible location is an important part of the University as well. I think we are already going in that direction. 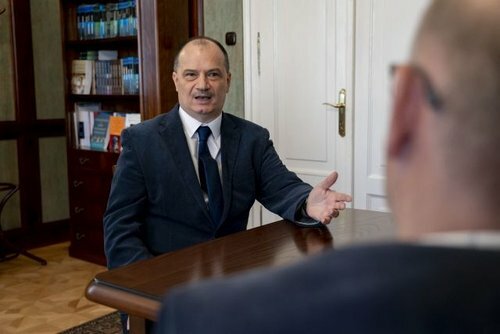 From my experiences at Rector Conferences, I can say that we are already a welcomed and accepted institution in the community of universities, but I hope and expect that in the future it will only strengthen: we will be able to represent such a color and added value to the Hungarian higher education scene that will be happily welcomed by the other universities. Why should students apply to Károli University today? The majority of our staff has a PhD, hence they are well-trained in their professional fields, and most of them have practical knowledge as well. While educating students is theoretical work, it is also very useful if students can get themselves acquainted with the professor’s practical work as well. In addition, our academic staff teaches in the spirit of Christianity. Why is it important for our country to have a Reformed university? We would like to train professionals whose values and ethics reflect the teachings of Jesus. Don’t get me wrong, it’s not obligatory to follow the Christian faith in our University – neither for our students nor for our academic staff. But everyone knows that we teach according to these values, and there is a call to follow Jesus in our University. I trust and believe that the values systems rooted in the teachings of Jesus can only benefit our nation, which is why it is so important to have a Reformed university. Do the Christian values, represented by the University, matter in the labor market? Have you gotten any feedback about whether employers pay attention to these added values? I can confidently confirm this. When I think about values, I think of inner peace, cheer, dedication to work and seeking good relationships with co-workers; such values are appealing to every workplace. How will you celebrate at the University? The Faculties are organizing conferences, thematic nights, alumni meetings, and of course, there will be a celebratory thanksgiving service as well. For the thanksgiving festivities, the 25th Psalm was chosen as the theme, and throughout the year we will revisit some of the lines of the Psalm. Allow me to quote the fourth verse: “Show me your ways, LORD, teach me your paths.” Our institution on the path would like to reflect on the past and look forward at the path ahead with the help of God: helping us by showing the way and leading us. Let us not forget that we owe thanksgiving to God for the past 25 years. Originally published in Reformatusok Lapja 62/42.